Conducting interviews is a career-long skill and not a one-time event. 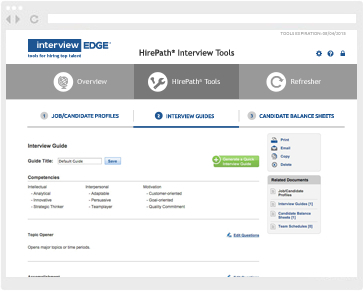 HirePath® Online Interview Tools are included with Effective Interviewing!® or Effective Interviewing!® eLearning to support the talent acquisition process. 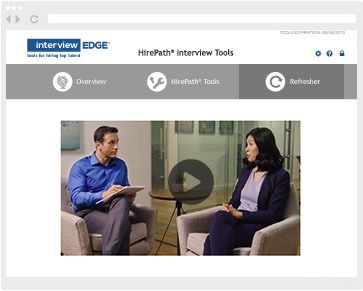 With these easy-to-use interview tools, interviewers can quickly create competency-based Job Profiles; generate custom Interview Guides; and summarize the hiring decision based on assessed competencies on candidate Evaluation Forms. 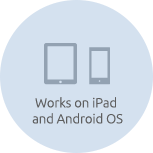 Access Job Profiles from the existing job bank or create profiles from a competency-based form. 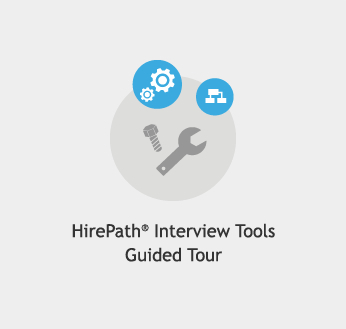 Generate Interview Guides based on job profiles and customize questions from an extensive database. 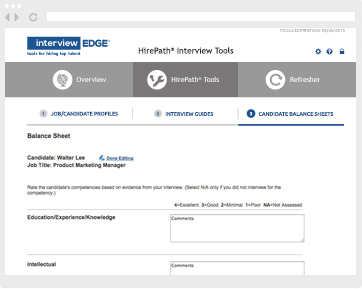 Evaluate candidates by quickly summarizing their strengths and limitations using competency-based Balance Sheets. 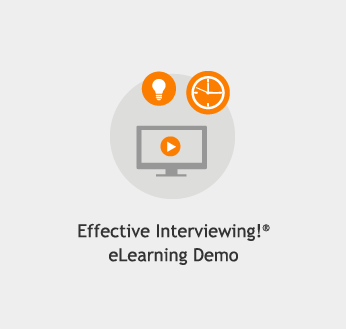 Reinforce key interview skills learned in Effective Interviewing!® with video examples of the Interview Funnel™ model. Schedule an instructor-led Effective Interviewing!® seminar. 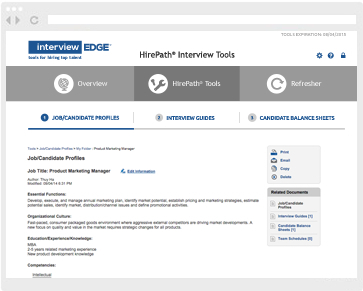 Want to learn more about HirePath® Online Interview Tools?